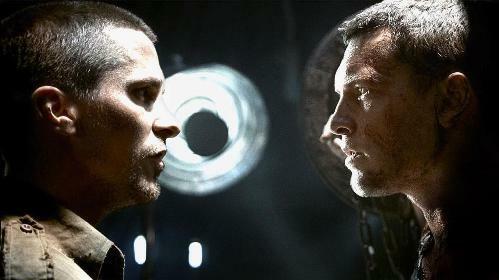 Directed by Joseph McGinty Nichol (aka McG), Terminator Salvation is a very good action film that lacks soul. Well acted by Christian Bale (as John Connor) and Sam Wotherington (as Marcus Wright) and with an engaging story that continues to weave the past/future of our hero, John Connor, the film works well as a visual smorgasbord. Sadly, that power is lost as the emotional bits ring hollow since they are so dreadfully blatant, and as such, carry no meaningful impact. Smaller roles by Helena Bonham Carter as the evil Dr. Serena Kogan and the always cliched Michael Ironside as General Ashdown add a campy factor to the film that really works. Terminator Salvation is a furiously fun film, and while soulless, gets my rating of 8 out of 10.